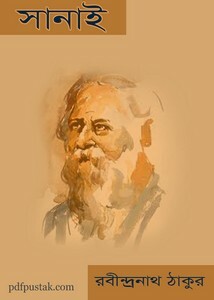 Sanai by Rabindranath Tagore Bengali Poetry Book pdf file. Tagore is one of the most famous Bangali words builder in the world who was a Poet, novelist, musician, playwright, painter, short-story writer, essayist, actor, singer and philosopher. He was a magician of poems, his written poetry book Gitanjali received Nobel Prize. He wrote more then fifty two poetry books. Bengali readers can collect his another poetry book Sanai.